In response to a letter by Head of Iran’s Judiciary Branch, seeking permission to take special measures in order to confront economic corruption, the Leader of the Islamic Revolution approved the request and called for “swift and just” legal action against economic corruption. 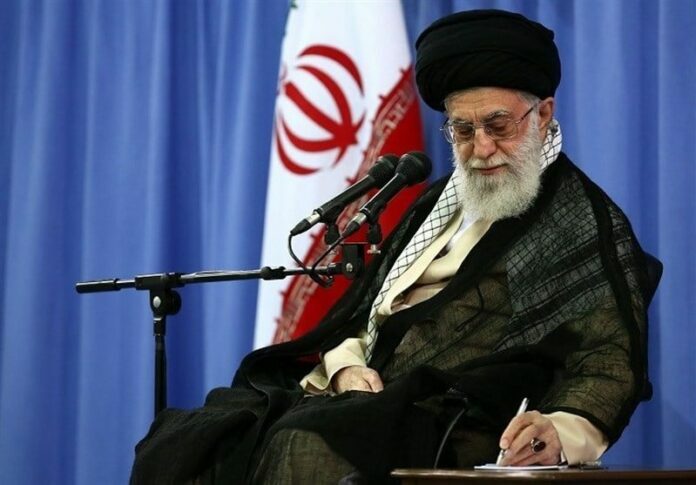 Ayatollah Seyed Ali Khamenei wrote, “Punishment of convicts of economic corruption must be carried on urgently and justly; and appropriate meticulousness must be given to the designation of sentences by courts,” Khamenei.ir website reported on Saturday. 1. Based on the contents of Act 6 of Article 2 of the aforementioned law, some branches of the revolution’s courts be formed with the presence of three judges (a president and 2 advisors). The court will have a quorum with the presence of two of the members. 2. These branches are located in Tehran, and all the related cases are referred to these branches by the first deputy of the Judicial Branch. 3. According to the discernment of the President of the Court, the sessions are public and can be broadcast by the media. 4. All the observable legal deadlines present in the criminal procedure, such as the notice and protestation are set with a maximum of five days. 5. Contents of the note of article 68 of the criminal laws regarding lawyers will be also applicable in the court. 6. When during proceedings, investigation flaws are revealed in the court, the court can primarily proceed with completion of the investigation. 7. All the charges applied to individuals and legal as well as military entities associated with the referred case, including the principle, partners and deputies are proceeded in one branch. 8. Any probation or commutation for convicts of economic corruption and disruptions is prohibited. 9. In all the cases of procedure for the aforementioned crimes, on the condition of the presence of enough reasons to discernment of the judge of the public prosecutor’s office or the court, as agreed, temporary arrest, ending proceedings, and issuing the final sentence are done. The conclusion cannot be protested in other courts, any change in the final conclusion is applied by the court that previously proceeded the case. 10. Sentences issued by this court—except for capital punishment—are binding and irrevocable. Sentences of capital punishment, with a deadline of 10 days, can ask for reconsideration in the Supreme court. 11. Implementation regulations of this act is prepared and approved by the head of the Judicial Branch. 12. This act is valid for two years following the date of approval. The proposal is hereby approved. The goal is that the punishment of convicts of economic corruptions be carried out urgently and justly. Please advise the courts to observe necessary meticulousness regarding designation of sentences. God’s peace and mercy be upon you.